Green Gloucestershire County councillor Sarah Lunnon was out supporting Wool Against Weapons at Stroud Farmers’ Market recently. Here’s WAW organiser Jaine Rose taking photo. 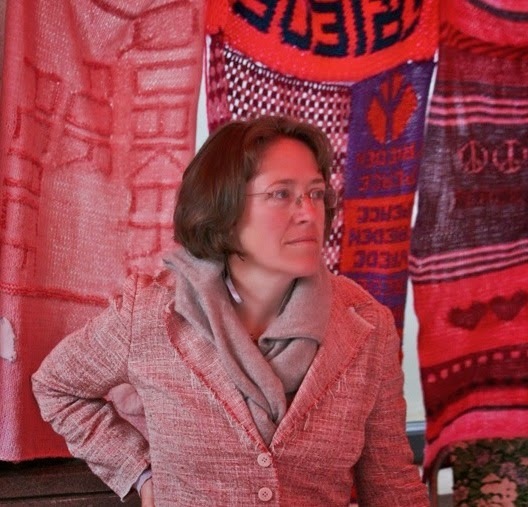 Jaine is a Stroudie, and has put together a wool based protest, knitting a 7 mile long scarf which will be released into the wild briefly on the 9th August as a protest against nuclear weapons and the renewal of Trident. 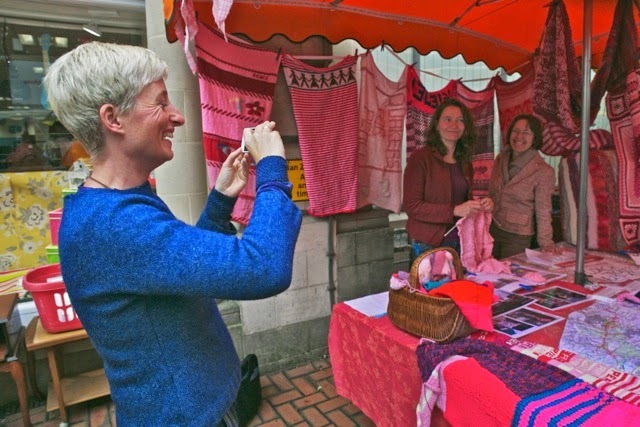 You can find out more on the website http://www.woolagainstweapons.co.uk/ Support and knitting has come in from not just all over the country, but from around the world. And here’s Sarah in the midst of some of the amazing woollen pieces that are going into this incredible protest. This isn’t just about knitting seven miles of resistance to nuclear weapons. After the protest, these creations will be reconfigured into blankets and sent to places where they can make a difference, so a great deal of love is going into making these protest knits lovely, durable and able to serve a second purpose. All photos used in this blog post are copyright Steve Hurrell.